Sealed vs user-replaceable batteries: is your phone battery doomed? One upon a time, all smartphones came with a battery that you could take out. Often to reset the phone if all went horribly wrong, sometimes because you have a second, charged battery ready to go on a long day out, most of all to perhaps replace the original after a year or so when it wasn't delivering enough charge anymore. All good reasons (and expanded and tabulated below), but then the world changed in 2007 with Apple's introduction of the first iPhone. Coming in a sealed 'Apple knows best, only Apple is trusted to open this thing up' package, the iPhone created a growing tide of 'imitators' (some caught out in the courts, mainly for copying other iPhone aspects, as you'll know from the news), all of which tried to go down the same route. 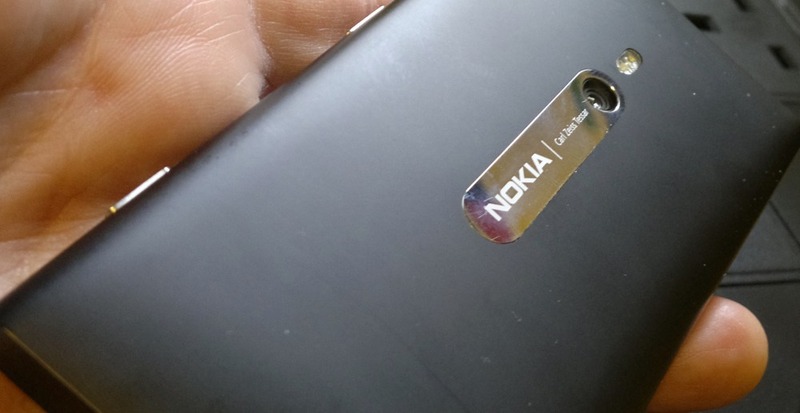 In the Symbian and Windows Phone worlds, respectively, we've seen the Nokia E7, X7 and Lumia 800 (shown below), plus the HTC Radar, each of which has no way for the user to get to the battery - for any reason. Note that I don't count the N8 in this, despite what Nokia claims. Batteries can be custom designed/shaped to fit around other internal components, leading to greater volume and greater charge capacity. With no battery door, latch or sprung battery contacts, the phone can be simpler in construction and stronger. There's no possibility of the user putting in third party 'dodgy' batteries and thus compromising the rest of the phone's performance or risking fire etc. Batteries can be sourced relatively inexpensively, kept as spares in a pocket and swapped in and out as needed. When a battery's capacity has degraded significantly, you can just throw it away (safely) and buy/insert a new one. In the event of a serious battery malfunction, you can spot the issue (probably early on) and prevent damage to your phone. In the event of serious software or hardware malfunction, you can 'pull' the battery to drain charge from the device and then restart it from scratch. Where safe to do so, third party batteries can be used to provide higher capacity within the same form factor. When the battery's flat, there's no alternative but to charge the phone directly, via mains, USB or a portable charger. When the battery's capacity has significantly decreased/degraded, you have to take the phone to an approved service centre and pay whatever the manufacturer demands to get the battery replaced. If the battery goes 'bad' and swells up or leaks, your device can be permanently damaged. On a long, demanding day out, you can't take a 'spare' battery (just in case). Battery tends to be smaller and capacity tends to be lower, due to the volume needed for the sprung contacts, support struts, battery door, latch, etc. Batteries have to be (roughly) of standard shape, for ease of insertion and storage. You have to watch out for third party 'counterfeit' batteries, which may not provide what they say and may even be dangerous. All important pros and cons, and you'll weight them yourself, according to your own preferences. But there's a possible elephant in the room here, for normal phone users at least. Us gadgeteers and power users will be swapping smartphones at least once or twice a year, either through contract upgrades or, more likely, by just buying a new phone, selling the old one and slotting our SIM in as needed. But more average phone users may well be locked into a 18 month or 24 month contract, or they may simply not have the finances to keep buying/upgrading. And there's every chance that the sealed battery in their smartphone may well be down to 50% or 60% of original capacity after 18 months. A typical chart from industry studies, in this case from the Department of Chemical Engineering, University of South Carolina, Columbia (PDF link). The amount of theory behind the topic and the number of variables are somewhat very scary, but you can take from the chart above that as the number of battery charge cycles goes up, the voltage, capacity and performance all decrease dramatically - starting at 1800mAh, the tested battery was down to 1350mAh after (roughly) a year of simulated use. Or a lot less, if they live in a hot climate, since the ageing of a Li-Ion battery is strongly dependent on temperature. Anything over 30°C for any length of time is going to drastically reduce the life of a battery. 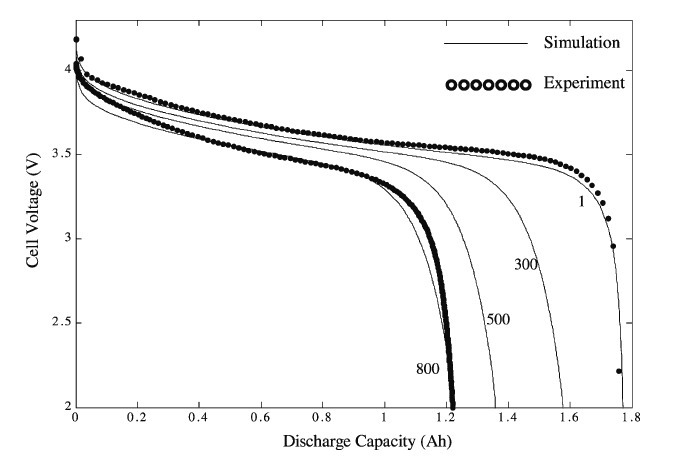 Battery degradation is also strongly dependent on the depth of discharge, i.e. whether the user tends to recharge whenever they get the chance (meaning smaller percentages of discharge, which is good) or whether they tend to wait until the phone battery is empty before inserting the charger (so effectively a 100% discharge every time, which is bad for the battery). Put the two 'misuse' factors together: hot conditions, plus savagely deep discharging by users who don't know any better, and it's very possible that a smartphone's sealed battery may be down to less than 50% capacity in one year, after less than 500 cycles. At which point, the iPhone or E7 (etc) owner has to head for an official service centre to get the battery replaced. If they're lucky, the device may be in warranty - if they're not then it could be costly. I do have personal experience of catastrophic battery degradation in a sealed device. Our Macbook had to be taken into the Apple shop last week, the battery was only lasting 10 minutes! Diagnostics revealed it had been cycled almost 600 times in the 14 months since purchase, at which point (nominal) capacity was down to 50% and useable voltage was only barely above the minimum needed by the computer. The result was that the 'sealed' Macbook had to be opened up by Apple and the battery replaced. Cost £100. Ouch. Which is a design problem, I contend. Li-Ion batteries aren't binary objects that 'just work', they're complex chemical entities in which Lithium ions drift between a cathode and anode across an electrolyte. Over time, use and misuse, the electrodes get 'passivated' and the essential chemical reaction isn't able to function as well, leading to capacity and operating voltage loss. Compare this to the rest of your phone, which stays essentially as-is, month after month. 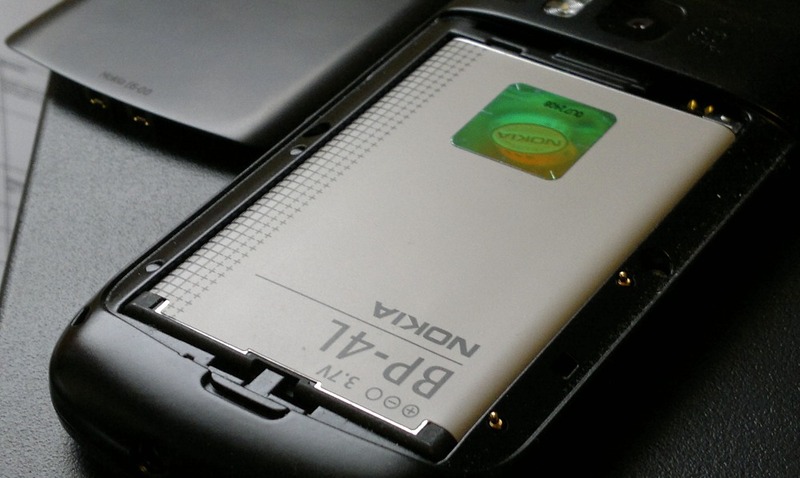 The case may get a little scratched, the AMOLED display may dim slightly, but it's the battery can degrade the fastest, making it almost a consumable. It's therefore essential, in my view, to be able to simply take it out and slot in a new replacement. a knowledgeable user will top their phone up regularly (mine rarely goes below 50% charge). With shallow discharges, the number of cycles before degradation increases significantly, from several hundred to several thousand, meaning that a phone battery might even last a decade if treated properly. in phone enthusiast hands, the chances of any smartphone lasting more than 12 to 18 months without physically being replaced by another device are small. At which point the degraded battery becomes someone else's problem - or isn't an issue at all if the phone is relegated to the desk drawer*. But I've got smartphones here which are five years old and I often lend them out to family members as 'spares' or hand me downs. And, in most cases, I hand them out with either a spare battery or with a new battery fitted, so that they're using the device as it was designed and not with a half-capacity main battery. Plus, as an engineer, it offends me to know that my pristine, scratch-less, molly-coddled iPhone or Nokia E7 or Lumia 800 isn't really perfect anymore, to think that the sealed battery inside is already down to 80% capacity and that there's nothing whatsoever I can do about it. So, in the spirit of the great debate, what's your take on sealed vs replaceable batteries? And what's your experience in terms of reduced battery capacity and performance with age? * Always store batteries with charge in them. Store them empty and they won't charge at all when you need them back, months later, since irreversible chemical breakdown occurs below a critical voltage. Filed: Home > Features > Sealed vs user-replaceable batteries: is your phone battery doomed?